Chaplains from the ICMA West Africa Region have expressed concern about the postponement of the Regional Conference as piracy in the region escalates. Pirates have boarded another ship off the coast of Nigeria’s oil region, the latest in a string of attacks in the area. It was reported that an unknown number of foreigners were kidnapped in the attack on the Armadah Tuah vessel. If confirmed, this attack would be the third offshore kidnapping in the area in 10 days, following the attacks on Esther C on February 7th, and on Walvis 7 on February 10th. 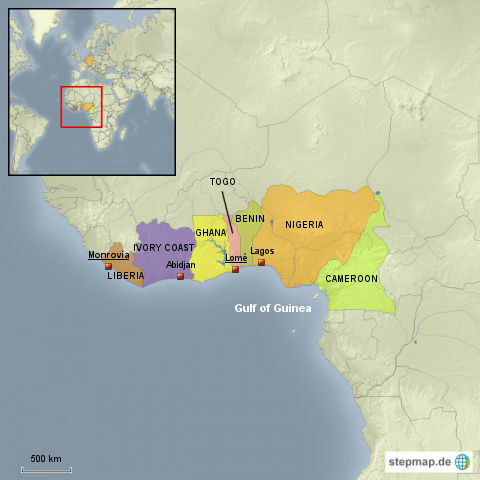 Gulf of Guinea pirate attacks have been notoriously violent. But the recent spate of hostage-taking is a new development in the tactics of these pirates. In a separate attack, robbers resorted to the usual modus operandi for this part of the world, boarding a ship anchored at the Lagos port and stealing the stores kept on the ship. ICMA chaplains working in the region are keen to learn how best to respond to the needs of seafarers affected by pirate attacks such as these. The Regional Coordinator Reverend Ed Gbe, assisted by Sunday Agbi, wrote to the Secretariat urging ICMA to help them “…actualize ICMA objectives in the region for effective seafarers welfare care.” To this end, they said “we will need a strategic plan that must be worked through.” Both Ed and Sunny believe that the delivery of welfare to seafarers lacks an overarching organisational structure and exposure to authorities and industry alike. Ed and Sunny’s enthusiasm for an ICMA conference in Nigeria indicates the value of these networking and training events for local chaplains. An ICMA regional conference was planned for 2013, but had to be postponed due to the ITF Seafarers’ Trust’s strategic review. It is hoped that a regional conference would be possible in 2014. Meanwhile, ICMA intends to help the region to achieve its goals as best it can by other means.